Syrian troops backed by fighters from Hezbollah retook a key town outside Damascus from rebels on Thursday, the Syrian Observatory for Human Rights said. Pro-regime fighters used clashes between rival rebel factions Jaish al-Islam and Faylaq al-Rahman as an opportunity to retake Deir al-Assafir, it said. 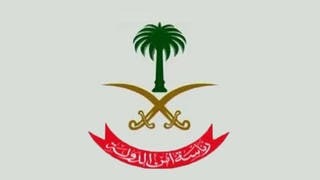 As rebels summoned their fighters from Deir al-Assafir to the frontline, regime forces launched “a violent attack and heavy air campaign resulting in them controlling the town,” Observatory chief Rami Abdel Rahman said. Islamist rebels had controlled Deir al-Assafir, located in the opposition bastion of Eastern Ghouta, since 2012. In April fighting erupted opposing Jaish al-Islam against Faylaq al-Rahman and another rebel group, Jaish al-Fustat - both allied to Al-Nusra Front, Syria’s al-Qaeda affiliate. The regime had been trying to retake Deir al-Assafir since February, Abdel Rahman said, despite the Eastern Ghouta region being included in a fragile nationwide ceasefire between the army and non-jihadist rebels. 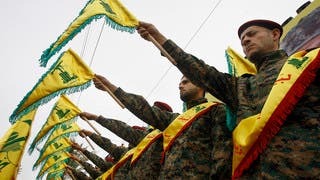 The latest advance with Hezbollah’s support comes just days after the Iran-backed movement said its top military commander was killed in Syria in an attack it blamed on extremists. The movement has deployed thousands of fighters in Syria where Mustafa Badreddine had led its intervention in support of President Bashar al-Assad.